New Orleans is a growing, changing, recovering and thriving city. In 2008, the United States Census Bureau estimated that New Orleans had a population of 336,644 people living on 180.6 square miles of land. The New Orleans metropolitan area, (New Orleans – Metairie – Kenner) had an estimated population of 1,235,650 people as of 2009, the 46th largest in the USA. New Orleans is rapidly growing as the region recovers from Hurricanes Katrina and Rita. As inhabitants of an incredibly diverse and unique area, New Orleanians are involved in a broad array of professions and activities, which bring with them diverse and unique risks. New Orleans is home to large tourism and hospitality industries and the surrounding area is traditionally home to seafood businesses. 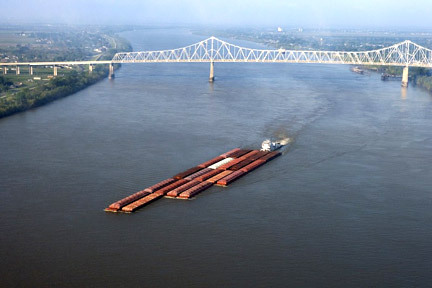 The Port of New Orleans is part of the largest port system in the country, handling more shipping by tonnage than any other U.S. port. This equates to a variety of work-related injuries as well as claims based in maritime law. The New Orleans area is also home to a variety of oil, energy, and chemical jobs. Workers in these fields might be injured on the job as a result of chemical or mechanical processes, sometimes suffering devastating bodily injuries. The BP Oil disaster is just one of many examples. The unique nature of New Orleans also means that citizens face unique situations that can lead to injuries. From dangerous parade floats and drunk drivers to hurricanes and oil spills, the residents of New Orleans face a variety of dangers every day. In addition, New Orleans inhabitants suffer from other injuries that are typical across the nation and can be potentially catastrophic. Certainly, living in the Crescent City has many benefits such as a growing job market, delicious food, widespread art, and one of the country’s most vibrant music scenes. However, life in the Big Easy also creates a high level of risk for many of its inhabitants. It is in these unfortunate instances that a New Orleans personal injury lawyer can help you and provide the expertise to aggressively advocate on your behalf. If you have a New Orleans personal injury claim, call one of the qualified New Orleans personal injury attorneys listed on this site for a free initial consultation. What is a Personal Injury Attorney and what types of matters does a New Orleans Personal Injury Attorney’s practice cover? Many different types of injuries exist and many of them can cause serious financial, emotional, and logistical problems for a victim and members of a victim’s family. A New Orleans personal injury attorney can advise a victim or their family as to their rights. 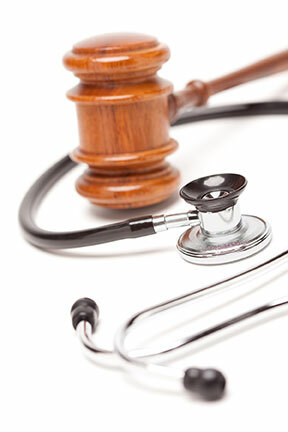 Southeast Louisiana Personal Injury Attorneys can also help you find the appropriate medical care. Although no one can truly fix the damages caused by a personal injury, a New Orleans personal injury lawyer will often be able to get you monetary compensation to provide for you, take care of your family if you cannot work, and cover past and future medical expenses. Why do you need a New Orleans Personal Injury Lawyer? Nearly every Louisiana personal injury case involves insurance companies, and as everyone knows, insurance companies can be incredibly difficult to deal with. They also make a profit by giving out the least money possible while having as many customers as possible. An experienced New Orleans personal injury lawyer has experience fighting with and dealing with insurance companies. A New Orleans personal injury attorney can help you negotiate an acceptable settlement or, if necessary, bring your claim to trial so you get the money you are entitled to under Louisiana law. New Orleans is a very diverse city racially. Although no one knows for sure how many people are back after the storm, it seems that the city is still almost two-thirds African American. There is a larger Latino population than there was before the storm, and it is probably much higher than the 4.5% that the Census Bureau estimates. Whites make up nearly one-third of the city and Asians have a small but growing population, especially the Vietnamese. A city this diverse can mean a diverse range of problems. 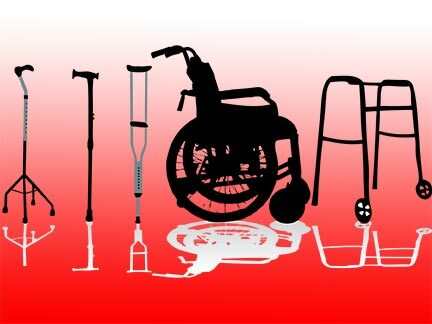 Call a New Orleans Personal Injury Attorney today for help with your injuries. Proving a personal injury claim in court can be an extremely complicated task, especially for the average person who might not understand the legal concepts involved. Even for trained Louisiana injury attorneys who are experienced in Louisiana personal injury law, it is sometimes difficult to prove that an injury is someone else’s fault, and medical and scientific experts could be needed to adequately demonstrate why you should recover. New Orleans personal injury lawyers can explain to you the various legal doctrines that could allow you to recover money, including negligence, strict liability, or intentional tort. You suffered compensable damages as a result. The analysis only becomes more complicated in a strict liability case, where you seek to hold the defendant responsible for your injuries regardless of fault, or negligence. In products liability cases, your New Orleans personal injury attorney must help you prove these following elements: (1) The defendant manufactured the product which injured you; (2) A defect existing in the product when it was sold made it unreasonably dangerous for consumer use; (3) The unreasonably dangerous defect caused the injury; (4) The damage arose from a reasonably anticipated use of the product; and (5) the element that makes the product unreasonably dangerous existed at the time the product left manufacturer’s control. Often, a variety of medical and scientific experts might be involved in proving these facts and an experienced New Orleans personal injury attorney or New Orleans product liability lawyer can help find these experts and arrange for them to appear at trial to testify on your behalf, after making a thorough investigation and analysis. New Orleans personal injury lawyers are often faced with victims of serious injury and accident victims with severe burns. 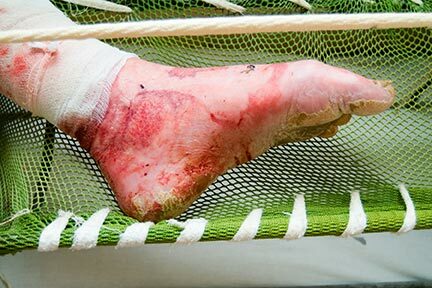 Burn injuries are extremely painful and a Louisiana trial lawyer must utilize their skills to let the jury understand exactly what a burn victim feels and why. However, a New Orleans injury lawyer would be remiss if they did not also prove the emotional distress and mental anguish that their client goes through daily. Disfigurement, self-consciousness, the inability to be in the sunlight for any length of time, and many other factors frequently result in mental depression for the victims of burn injuries. Mental anguish and pain and suffering are compensable damages in New Orleans, Orleans Parish, and the State of Louisiana. Contact a New Orleans burn injury lawyer now for a free initial consultation. Sometimes there is more than one person to blame. In these cases, a New Orleans personal injury lawyer may decide to bring a claim against multiple defendants. Consider the following example: If you have been injured by a defective consumer product, the manufacturer may be liable under a theory of products liability; however, other people in the distribution of the defective product, including the retailer or distributor, may also be strictly liable for your injuries. In Louisiana, parties are usually only financially responsible for their percentage of fault causing the injury. A New Orleans, LA personal injury attorney will also understand comparative negligence — that is, the idea that your own negligence might reduce your economic recovery. We all know Canal Street and how dangerous it is; if you were traveling on Canal above the posted speed limit and someone ran the red light at Poydras and you hit them; you could hire a New Orleans car accident lawyer to prosecute your injury claim. But, what if the insurance defense lawyer for the car that ran the red light takes the position that, had you been at or below the speed limit on Canal, you would have been able to stop your car and you would have avoided the car accident. In this fact situation, it is reasonable that an Orleans Parish jury could find you were 25% at fault but the other driver involved was 75% at fault. If this happened, you would only receive 75% of whatever monies were awarded. Obviously, this analysis varies depending upon the facts of your New Orleans injury case, and proving all of these elements in court can become extremely complicated. A trained New Orleans personal injury attorney or Southeastern Louisiana personal injury lawyer can help you navigate these difficult legal concepts as well as the Louisiana court system. Read more information on how to compute damages, including a discussion of comparative fault and joint and several liability. 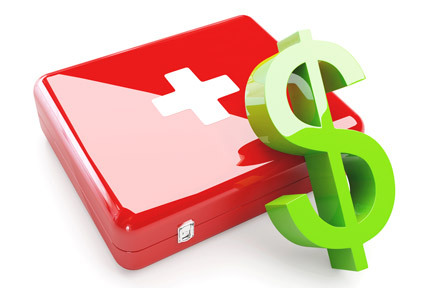 Other expenses that are a direct result of your injury. For more information on which damages you may be able to recover, including punitive damages and damages for specific types of injuries and wrongful death, please refer to the page on Damages. New Orleans personal injury lawyers represent not only injury victims but also their families and spouses in actions throughout Louisiana and the Greater New Orleans area. If you or a loved one has been injured, you may be able to recover for medical expenses as well as a variety of other damages. You should contact one of the experienced New Orleans personal injury attorneys to represent you and protect your rights. How long do you have to file a personal injury claim in Louisiana? Under Louisiana’s period of prescription, you only have one (1) year to file a personal injury claim against the party or people that caused your injury. You should consult a New Orleans accident lawyer or a Southeastern Louisiana personal injury attorney to review your claim and pursue legal action before Louisiana’s one-year prescriptive period has expired. What does a New Orleans personal injury lawyer charge? Lawyers usually charge an hourly rate plus a retainer fee. Most lawyers use a system of billable hours and keep records of how long they work on your case, then make you pay according to how many hours they spent on the case. New Orleans personal injury attorneys use an entirely different fee structure. Louisiana laws allow personal injury lawyers, or “PI lawyers” for short, to enter into “contingency fee” agreements with their clients. This means that your New Orleans personal injury lawyer will usually accept a percentage of any money recovered if they win the case for you. Louisiana law does not place a cap on the percentage that the attorney can charge. The availability of a contingency fee agreement for an injury victim is very important because it can be extremely expensive for an injured person, who might already be out of work due to their injury, to pay a lawyer up-front. The mechanics of a contingency fee contract can change between lawyers and in different states; however, a contingency fee agreement essentially means that if the injured person does not get any money, then they do not owe the lawyer anything for representing them. You can readily see how beneficial this arrangement is for injury victims: they only pay for a lawyer if they win their lawsuit, and, because the more money for the victim means more money for the lawyer, the lawyer has an extra incentive to work hard on their case. Please contact a Southeastern Louisiana personal injury lawyer to discuss your case today. Qualified New Orleans trial attorneys are capable of investigating, preparing, presenting, and filing your lawsuit at all levels of the state and federal courts. The New Rules for the United States District Court for the Eastern District of Louisiana, which went into effect in February of 2011, can be found here. Where can you find a New Orleans personal injury attorney to represent you? To find a personal injury lawyer covering your particular area of injury, please go to the tab at the top entitled “Personal Injury Law,” and click on the page that is associated with your type of injury.